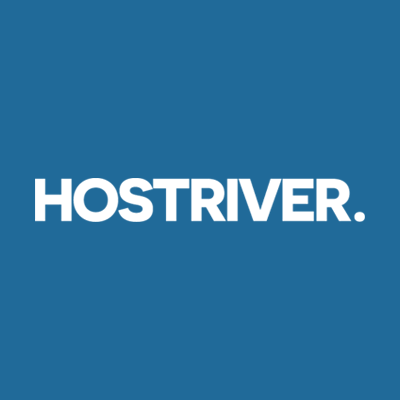 Johannesburg, 12 June 2018 – South African Internet solutions company, HOSTRIVER, today launched its Website Builder service – aimed at the Small to Medium Enterprise (SME) sector. The Do-It-Yourself (DIY) website building platform affords SMEs the opportunity to take control of their online presence with an affordable and easy to implement professional online web building service. Being in control of own look, feel, content and operability from the beginning of the business journey is economically empowering. Having the option to build an eCommerce store with a variety of payment gateways from the outset, also takes the website from a showcase to a transactional portal immediately. eCommerce has many benefits for SMEs and the overall economy. It is also an important job creating tool. For example, one sale made online positively affects many industries from manufacturing to packaging and shipping. In every stage it’s indirectly creating or sustaining jobs. “It is therefore arguable that the more SMEs jump onto the eCommerce bandwagon, the better for the economy as a whole,” said Khuzwayo. Beyond that though, is the requirement to involve and retain the customer. The HOSTRIVER Website Builder service offers this in abundance. “I believe that we have created an exciting product that will play an instrumental role in helping shape an economically engaged era through the power of the digi-sphere,” added Khuzwayo. But why opt for a Website Builder and a DIY approach instead of hiring a web designer? “Hiring a web designer is an expensive exercise and more often than not, SME’s are left disappointed at the level of service they get” said Khuzwayo. As a result, HOSTRIVER believes that the time for outsourcing web design is over. Today’s technology allows almost anyone to create a website that is secure, smart, fast, easy to maintain and one that is certainly more affordable, plus DIY gives SME’s control over their most valuable asset, their online presence. A website is either a sales and marketing tool or a transactional eCommerce platform. The skills needed to make it (and the business) successful, are proficiency at digital marketing, not coding. Coding is just a means to an end and with a product like HOSTRIVER Website Builder, the code comes built in. Further, Khuzwayo believes, websites that are built on the back of code by IT engineers generally tend to be about the backend technology rather than the front-end usability (although UX is becoming part of the enterprise digital remit). While data collection and analysis are increasingly important, for an SME, the most critical is to have a website that looks professional and that works from birth. Khuzwayo also believes that what sets HOSTRIVER apart, is that the company retains its own entrepreneurial spirit and approach. Consequently, it understands what start-ups and small businesses need, and what it takes to grow with them. HOSTRIVER Website Builder offers affordable rich, full-featured website options, complete with eCommerce capability. The websites are responsive and optimised for Desktop, Tablet and Mobile with advanced security features that are compliant with global standards, for example, browsers will soon be blocking websites that do not use SSL and all HOSTRIVER websites comes with SSL included. The simple web-based control panel automates and simplifies the website building process affording users with limited technical skills the ability to create new websites fast and easily update existing ones with ease. Importantly, all websites on HOSTRIVER Website Builder are never deleted even if the client fails to pay. They just get suspended but never deleted, allowing the website owner to come back anytime and re-activate the website. “You shouldn’t have to work for your website, it should work for you,” concluded the man who knows.